The birth of "Miss Lawrence" came from the exploration of himself and the freedom of self expression in the beauty industry. Identifying the thing that most attracted him to women, "BEAUTY", is what propelled the lip-stick wearing, high-heel PUMPIN, and overall fashion flexible and gender non-conforming man to adhere to the image he saw at core. Miss Lawrence is the personality and talent behind Atlanta’s upscale, boutique salon Lawrence Washington Salon. Having trained at the Paul Mitchell Institute, Lawrence has built a solid reputation as the go-to stylist for clients like Kenya Moore, Jennifer Holiday, Ciara, Serena Williams Elise Neal and Angela Basset. His Pressed For Time Salon in Atlanta has become a destination for Atlanta’s top executives and socialites, all who rely on Miss Lawrence and his team of experts for cutting-edge, sophisticated designs. “I may work with lots of celebrities, but I am dedicated to all my clients to help them find their personal style,” Lawrence says. His style acumen and his snappy sense of humor brought him to the attention of Bravo network where he first appeared as confidante and hairstylist on the cult reality show, “Real Housewives of Atlanta.” His popularity on the series resulted in multiple appearances, and culminated into being named co-host of “Fashion Queens,” a late-night television phenomenon that is now in its third season. 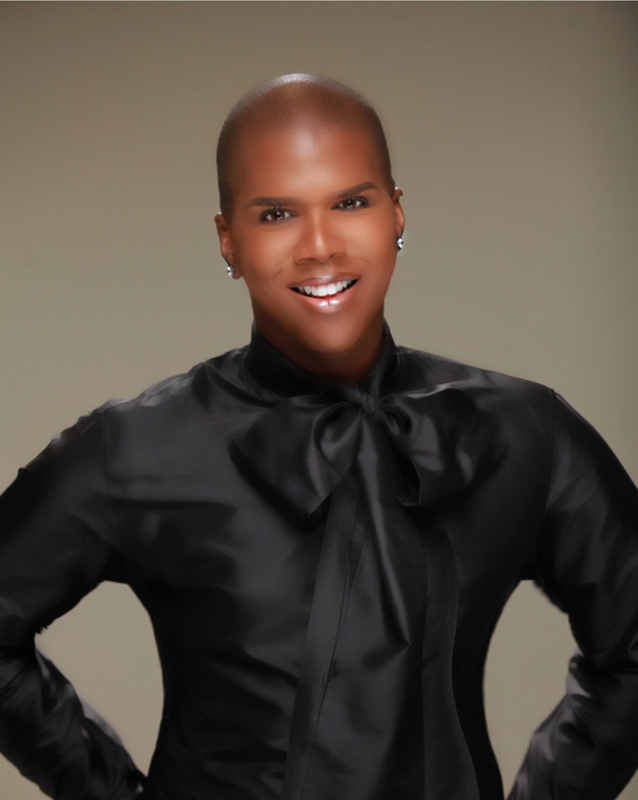 On “Fashion Queens,” he shares the set with fellow Atlanta hairstylist Derek J and New York fashion maven and social media sensation Bevy Smith. His celebrity has afforded him the opportunity to support causes in which he believes, especially those related to eradicating homophobia and promoting a positive view of the LGBTQ community as it relates to Black lives. He has worked closely with the National Action Network where he was a panelist on the subject of LGBTQ Rights and Homophobia in the Black Community. Additionally, he has promoted the Human Rights Campaign’s effort “This is Luv,” and has been a strong advocate of the Ali Forney Center, whose focus is changing the lives of homeless LGBTQ youth. Miss Lawrence currently divides his time between New York City and Atlanta, where he continues to oversee his successful salon.